Watch Fox’s “Empire” Season 2 Premiere Livestream begins at 8pm ET tonight also Conversations with the Cast and Executive Producers! 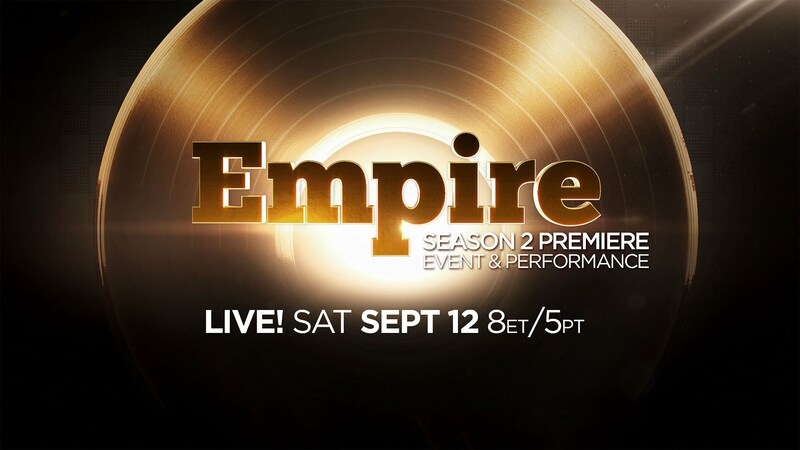 EMPIRE celebrates Season Two with a special live event including a conversation with the cast and executive producers followed by iconic musical performances from the hit show! Join the live commentary with #EmpireSeason2. Panelists include EMPIRE executive producers Lee Daniels, Danny Strong, Brian Grazer, Ilene Chaiken and stars Terrence Howard, Taraji P. Henson, Jussie Smollett, Bryshere Gray, Trai Byers, Kaitlin Doubleday, Grace Gealey, Serayah McNeill, Gabourey Sidibe and Ta’Rhonda Jones.